RUSH: What has taken the place of McCabe now — and this is where you are really at the right place today — Facebook and Cambridge analytics, the Drive-Bys and the left are all over this. When you hear Cambridge analytics, you need to think Mercers. The Mercers own Cambridge analytics. What they’re trying to tell everybody is that Cambridge analytics hacked or cheated or gamed Facebook and ended up collecting very personal data on 50 million Americans who participated in a survey that Cambridge analytics conducted on Facebook. And so you are being told that Facebook has been victimized, Facebook has been hacked by those evil Mercers, who found a way to extract personal information in order to tailor advertising to help Trump win in Ohio, Wisconsin and Michigan. Setting the table, let me just tell you, Facebook is not a victim here, and Cambridge analytics is by no means the only entity which has used Facebook’s own data collection. Facebook collects the data. Cambridge analytics is like any other outfit that found a way to access it, and it’s not illegal. When Facebook users agreed to participate in a survey, there are disclaimers. Who knows how many people read those. But Cambridge Analytics is by no means the only outfit that does things like this. You know one thing that amazes me, though, about this? And there are many. The Drive-By Media, the Washington establishment, the Democrat Party, the faux conservative Never Trumpers supposedly on our side all think what? That Trump is a bumbling idiot, that he’s a buffoon, that he’s a bull in a china shop, that he’s uncouth, that he’s a barbarian, that he’s unsophisticated, that the guy is just filthy. He’s loud. He’s boorish. He’s uncivilized. And he doesn’t know what he’s doing. He doesn’t know about politics. He doesn’t know the way the establishment works. He doesn’t know. He’s just an embarrassment. Right? The guy can’t keep his staff together. He’s got no organizational skills. He doesn’t know how politics works. He doesn’t know how legislation gets done. He can’t keep the White House staffed. He can’t keep his mouth shut. But, on the other hand, we now are told that Trump ran this deep, complex, long-term, intricate, secret international conspiracy with the Russians to throw a presidential election to himself without leaving behind one shred of conclusive evidence. This is what a bumbling idiot Trump is. Look at what he did. Trump is Cambridge analytics because his donors did it, and Trump colluded with the Russians, and Trump stole an election from Crooked Hillary who’s now Crazy Hillary, and that may be literal. The Democrats are running away from her faster than you run away from the flu. I mean, they’re doing it publicly. So here’s Trump, doesn’t know which way is up, he’s an idiot, he’s an embarrassment, but look at what he did. He literally stole a presidential election, and he did it with his buddies the Russians, and there isn’t a shred of evidence. And then this Neanderthal actually knew how better to exploit high-tech data collection, the internet and Facebook than Crooked Hillary or Obama were able to do. And not leave a shred of evidence, not a single fingerprint. What a bumbling idiot. And all this time there’s no mention of the fact that Google had a satellite office in the White House. Google, the kings of data collection, Google, the kings of harvesting everybody’s personal data to use in advertising and who knows whatever else, practically had a White House relationship with Barack Hussein O, and nobody has a problem with that. 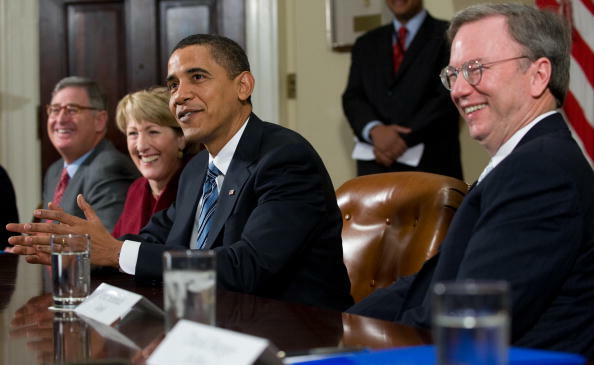 Eric Schmidt, the CEO of Google, now the CEO emeritus, practically lived in the White House he was there so often, advising Obama on health care and the website and everything high-tech, advising Obama during his campaigns. Google. And yet it’s this Neanderthal Trump who sneaks in and is able to undermine all these brilliant, Harvard educated, smart as whip technological wizards and not leave any evidence. Donald Trump was able to outwit Zuckerberg. 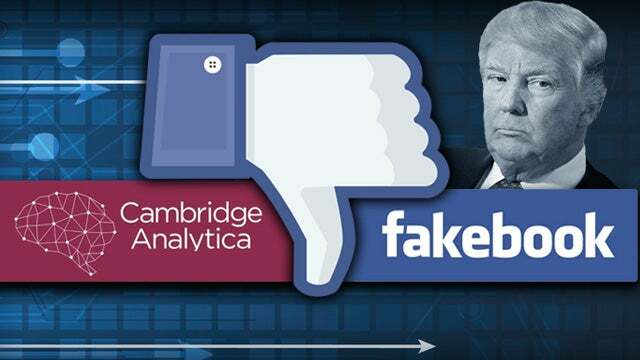 Donald Trump and his buddies were able to go in there and make use of Facebook data even better and even more comprehensively than the guy who created it, Mark Zuckerberg, who himself may be running for president on the Democrat side. Tech in Silicon Valley is so embarrassed, they want nothing to do with Trump. He’s so offensive, he’s so mean, he’s so brusque, he’s so hard-core. And yet this guy apparently is just running rings around everybody and not leaving a single fingerprint. So we’ll have the nuts and bolts of what the Cambridge analytics thing is. But, folks, the bottom line is, it isn’t any big deal because it’s nothing unique. The Democrats have perfected using the personal data stored by internet companies for I don’t know how long. And Google leads the league in it, and they’re in bed with the Democrats and always have been. Facebook is number two. They’re in bed with the Democrats. There’s nothing new here. Cambridge analytics didn’t do anything illegal. Facebook is not a victim; they are a participant. Facebook was not hacked. They were simply used, and they knew this was going on. They knew this two years ago. They knew the kinds of things Cambridge analytics was doing. It’s nothing new. It’s just the modern version of how political consults and parties use the phones to get out the vote, to stomp around neighborhoods and plant signs in front yards. It’s the modern day equivalent of high-tech grassroots politics. It’s all about finding out who your voters are and where they are and what they respond to, which politics and parties have been doing for as long as there have been both. But the Democrats, you see, and Obama, the brilliant, the cool, the sophisticated Obama, and Eric Schmidt and Sergey Brin and Larry Page and all these high quality leftists, they exclusively own that sector. Only they are smart enough brilliant enough, liberal enough, correct enough, sensitive enough to ever deal with this stuff while excluding everybody else. And here comes, to them, unacceptable, reprehensible bigot using their systems and outsmarting them in the process to win an election they thought they had arranged, they thought they had in the bag. They haven’t gotten over it, and they’re not going to get over it. Somebody sent me a note over the weekend. “You know what? I think this actually may be a good way to describe Mueller.” Think of it this way. The Mueller investigation is the cover up. I think I’ve even alluded to it, not using that word, the Mueller investigation is to hide what Mueller and the establishment and the Democrats and the media and crooked, crazy Hillary were doing all during the campaign. The Mueller investigation is to hide that, is to cover-up what they did, under the guise of trying to find so-called perps and enemies, which are Trump and Russia. When in fact the only lawbreaking, the only fakery, the only deceit that was used was Hillary Clinton, the DNC, Barack Obama — how about John Brennan and Samantha Power? Those two people threatened the president of the United States in tweets over the weekend. RUSH: Gina in Ballston Spa, New York. It’s just down the road from Saratoga. It’s great to have you. How you doing? RUSH: Does it cite Facebook? RUSH: Does it mention Facebook? Does it mention Facebook and Google? CALLER: It mentions that they were using the newest technology, the latest tools, and that some of what they were doing was kind of shrouded in secrecy because not only because they wanted to maintain that competitive edge, but also because that there would be worried about practices like, quote, data mining and analytics could make voters feel uncomfortable. RUSH: Gina, God bless you. You know what? I remember this piece now, and I didn’t… She’s exactly right. This is five years ago. New York Times ran this piece praising the data miners, praising Google — praising Obama’s forward, advanced thinking and utility and ability and using all of this data to further his electoral opportunities and even his agenda. So back then five years ago all this stuff was really cool! And the New York Times could not have been happier. But you now that Trump figured out how to do it and outsmart even Obama and the Democrats and all of a sudden there may be a crime going on here, Mr. Webb! RUSH: The date June 20th, 2013, New York Times Magazine, “Data You Can Believe In — The Obama Campaign’s Digital Masterminds Cash In,” and they praise to the hilt all of these geniuses learning to manipulate and use the data collected by Google and Facebook to advance Obama’s interests. RUSH: Bethlehem, Pennsylvania. David. Great to have you, sir. Hello. CALLER: (garbled cell throughout) Hey, Rush. Thanks for having me. CALLER: Yeah. I wanted to talk about the Cambridge Analytica piece. RUSH: Well, now, you’ve gotten a head start on me here because you’re exactly right, and that’s part and parcel of my ‘splanation coming. (That’s short for “explanation,” for people in Rio Linda. Facebook is not a victim here. Facebook hasn’t been hacked. Nobody stole anything or broke in. Facebook promoted this kind of usage of their app! They were all for it — and don’t forget, they’re helping Obama. Ditto, Google. They were helping to uncover information. I mean, Facebook is in business to collect this data, as is Google. They have different reasons, different usages. Google, it’s their primary source of income via advertising. RUSH: Let’s delve into this Cambridge analytics thing here and Facebook. Remember two things. Cambridge analytics equals the Mercers, and the Mercers equal Satan, as far as the Democrats and the media are concerned. The Mercers and the Koch brothers are no different. They are wealthy conservatives who fund right-wing causes and candidates. And, as such, they are illegitimate, they’re racist, they’re sexist, they’re bigoted, they’re homophobes and dangerous. They are suspects. Cambridge analytics. This is actually the organization that Mr. Mercer, Robert Mercer began. He is a computers scientist whiz, by the way. That is his claim to fame. He runs a hedge fund now, and he and one of his daughters, Rebecca, are the primary political movers in using some of their wealth to fund various causes and operations. They originally supported Ted Cruz in the Republican primaries. When Cruz dropped out of the race, they immediately switched to Trump. And if the truth be known, they were probably on the way to switching to Trump before Cruz dropped out. And they did contribute a certain amount of money to Trump. Trump didn’t take a whole lot of campaign contributions, but the Mercers gave some. 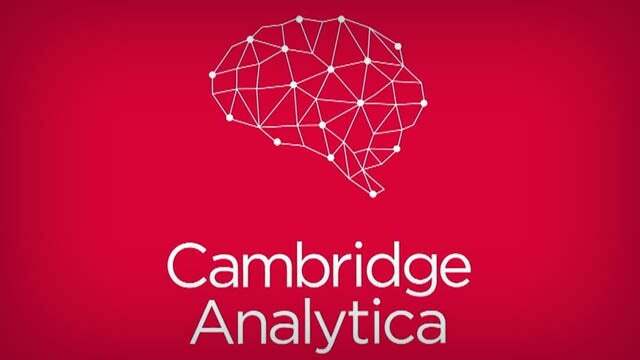 Cambridge analytics turns out to be one of the operations, one of the techniques that the Trump campaign used in terms of data mining to learn about various voters in various states and who they were and how to appeal to ’em. Now, this has become a gigantic conspiracy. This has become something about which everybody needs to know, and that’s why the second thing you need to remember is this June 2013 New York Times story praising Obama and praising the geniuses on Obama’s tech team for being able to figure out how to data mine from Google and Facebook to advance Obama’s agenda. So the very same thing that the media is trying to make you think is criminal activity, they were praising Obama to the hilt in countless newspaper stories all during 2013, and Google search reveals about 15 of ’em. And it is amazing how much praise there was in just the New York Times. And of course in the New York Times it gets picked up and run elsewhere. So let’s start here with the Associated Press. “Trump-linked Data Analysis Firm Taps 50M Facebook Profiles — A data analysis firm employed by President Donald Trump’s 2016 campaign tapped the Facebook profiles of more than 50 million users without their permission, allowing it to capitalize on the private social media activity of a large portion of the U.S. electorate, newspapers reported Saturday. One of the largest data leaks in Facebook history –” It was not a leak! It was not a hack! There is nothing illegal here. It is nothing that Trump did first. “One of the largest data leaks in Facebook history allowed Cambridge Analytica, which had ties to Trump campaign strategist Steve Bannon –” so that’s how they Satanize it, you see, “– to develop techniques that formed the basis of its work on the Trump campaign, The New York Times and The Guardian reported. Facebook said it suspended Cambridge Analytica over allegations that it kept the improperly obtained user data after telling Facebook it had been deleted. “In a blog post, Facebook explained that Cambridge Analytica had years ago received user data from a Facebook app that purported to be a psychological research tool, though the firm was not authorized to have the information. Roughly 270,000 people downloaded and shared personal details with the app. This is so much smoke and mirrors. Trump did not enter the race until July of 2015. The Mercers and Cambridge Analytica didn’t back Trump until Cruz dropped out in May of 2016, so what does any of this have to do with the Trump campaign? In one sense. But that’s not even the way I want to go about dealing with this. One more story from the U.K. Guardian, which is symbiotic here with the New York Times in reporting this. “Revealed: 50 Million Facebook Profiles Harvested for Cambridge Analytica in Major Data Breach — The data analytics firm that worked with Donald Trump’s election team and the winning Brexit campaign harvested millions of Facebook profiles of US voters, in one of the tech –” Can these people make up their mind? Who did this, the Russians or the Mercers? Who the hell do we have to put in jail here, the Russians or the Mercers? By virtue of this, the Russians are a bunch of amateur pikers compared to what Cambridge Analytica was doing. But Cambridge Analytica is also pikers compared to what Obama was doing with Eric Schmidt and the Google guys who practically had a satellite office in the West Wing during the Obama administration. This explanation from Facebook is transparent and phony. It is self-protective. It’s exactly what you would expect from a company that just found out that the data of its customers had been used when Facebook is upset at who figured out how to do it. Facebook is not the victim. It was not a data breach. It was not a hack. And Facebook knew about this for years and didn’t acknowledge it until last Friday. It wasn’t just Cambridge Analytica doing this, and it wasn’t just Strategic Communication Laboratories. It was all kinds of people, including the Obama reelect team and the Obama Organizing for America team. Everybody was getting into Facebook data because that’s why Facebook collects it! There was no hack. There was no breach. Let me read Facebook’s blog post to you. This is Facebook on Saturday, after their original post on Friday acting like a big victim. They admit, claim that this is a data breach is completely false. “So, apparently, people thought that CA stole data from 50 million people and then used it to target particular groups with political messages to sway them over to the Trump side? That would have been a great thing for Facebook.” Not in the sense that they’re supporting Trump, but just that the data that they collect could be used in such a way. And the Drive-By Media doesn’t know enough about this to even get this right. The Drive-By Media hasn’t anybody in it that’s sufficiently educated and informed about tech, high-tech, data mining, data collection. Their knowledge is rudimentary and probably what they’ve been told in various faxes. They don’t question anything. As long as what they’re told indicts Trump or his team, that’s what they print. This type of availability, this type of usage was devised by Facebook. “Access to user data was probably what lured in developers and companies into Facebook in the first place.” The idea that the Trump team is the only people out there interested in mining data about users and people? The political parties have been doing this long before this method of collecting it came up. You used to have to make phone calls and go knock on doors and pay a lot of people for a lot of focus groups and do a lot of sit-down surveys all over the place. Now the data is collected by social media and all you have to do is go get it. Facebook did not set up any firewalls. They didn’t set up any obstacles. And they admit this in their Saturday blog post. This is not about a hack or a breach. And further evidence of this is that this exact kind of thing was praised by the media back in 2013 when they learned that Obama was doing it. And the Obama people were bragging about it because the Obama people wanted to be thought of as brilliant. They wanted to thought of as geniuses. And the media’s their friends and they’re sharing with them how they are data mining and learning everything they need to know about voters here and there, how to get them, you know, which ones to ignore, which ones didn’t have a chance of persuading or turning. There’s any number of usages for this data. Google, again, makes Facebook look like pikers in terms of the type of data collected on the numbers of people and the reasons for its collection. RUSH: There’s a component to this that always happens, and it’s happening now. We have a bunch of really fake news stories. Let me give you an example. “Lawmakers from both sides of the aisle are turning up the heat on Facebook, following bombshell reports that the company’s user data had been harvested by Trump-linked analytics firm Cambridge Analytica. “The company… exploited data from 50 million Facebook users in secret. As detailed in a New York Times report, the firm … obtained the trove of user data from a researcher who, according to Facebook, indicated that he was gathering it for academic purposes. Cambridge Analytica then allegedly used the information to build a powerful political tool as campaigns were increasingly looking to sway voters,” like everybody else does! But what’s happening here is Republicans are falling for this. They didn’t give a rat’s assists when Obama was violating everybody’s privacy, including all the metadata stealing of the phone companies! They didn’t give a rat’s rear end about it when Obama was doing all this and more. So this happens every time one of these things — and isn’t it interesting that this Cambridge Analytica thing pops up right after it’s learned that McCabe was not unfairly fired? So they have to change the narrative on McCabe. Once they couldn’t any longer report that McCabe got screwed by Trump — that, in fact, it was an Obama appointed investigator who discovered that McCabe had really lied and deserved to be fired, deserved to lose his pension, whatever. Well, they can’t… You know, with Michael Flynn losing his house and Republicans on the verge of going to jail, the sob stories from McCabe had to stop. So now they switched to Cambridge Analytica and the Mercers and the “illegal stealing and mining and usage of data from Facebook” to help Trump get elected. And they don’t find the Russians anywhere? Oh, I predict that’s the next thing to happen. Once they get all this organized, you’re next gonna see, “So it wasn’t just the Russians. Trump was using Facebook! Trump was using Cambridge Analytica.” Do we have time to squeeze a quote in here? Nah, I really don’t. But what we have, the source here is a guy named Christopher Wylie, a Cambridge Analytica guy who no evidence of Trump campaign wrongdoing, either. He was involved in the actual effort here, and he was on the Today show today. We have a couple sound bites of him coming up. Now I gotta take a brief top-of-the-hour break as we continue to delve into and try to make this complexity understandable. One of our specialties here at the EIB Network.